Nowadays, there are a wide variety of personal mobility devices that are designed to provide you with a unique way to get from place to place or commute. These devices can be unpowered vehicles like skateboards and scooters, but the most popular way is to use powered devices. 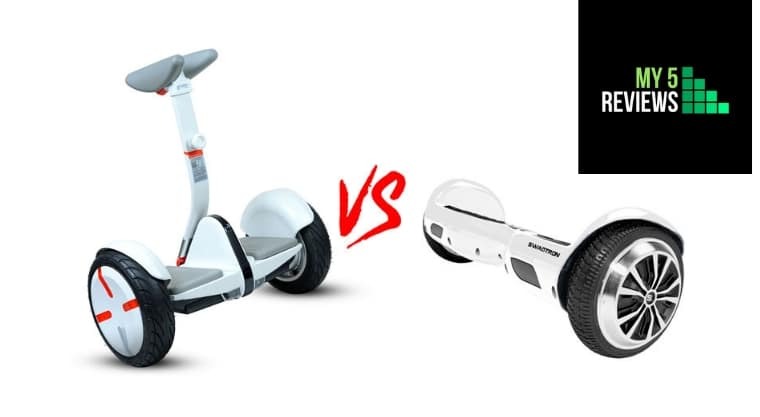 When it comes to popularity, the two most popular powered personal mobility devices are the vehicles created by Swagtron vs Segway. Check out our self-balancing scooter review. In this guide, we’re going to compare three of each company’s best personal mobility devices so that you know which to select. 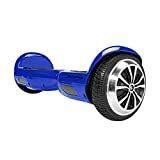 For many, the Swagboard Vibe T580 works as a great starter hoverboard. Not only is it Bluetooth-enabled and designed to be durable, but it also can handle larger riders. It can support riders that weigh up to 220 pounds. It has a maximum speed of 7.5 miles per hour. It can handle 30-degree inclines. You can play your music over Bluetooth and access GPS from your phone. It has a cool-looking design that’s available in blue, red, and black. The pedal area is matte and is coated in a non-slip surface. The 400-watt motor is very powerful. There are LED movement indicators at the base so that you’re visible even at night. It can travel up to eight miles. For a long time, Segway was THE name to know when it came to personal mobility devices, and this product shows how well they know the product type. The miniLITE is a Segway that’s far from the bulky origins of the brand; it’s small, responsive, and able to manage many different terrains with ease. It has a powerful 1400-watt engine. The pneumatic tires are designed to tackle a variety of terrains. It can go a full 11 miles on a single charge. It can manage riders up to 175 pounds. It’s easily capable of traveling at speeds up to 10 miles per hour. It has rear LED lights for safety. The LED lights are customizable. You get more stability with the knee controls. It has a mobile app that you can use to customize the vehicle’s performance. Overall, both of these personal mobility devices offer a very stable and worthwhile performance, but there are areas where each shine over its rival. For example, the Swagtron product has more app support and also has a pair of onboard speakers so you can play your music. On the other hand, the Segway product can travel a full three miles farther than its competitor, and it also has a much more powerful engine. When it comes to rider capacity, the Swagtron edges out the Segway product since it can handle larger riders, but the Segway can travel a full two miles per hour faster. In the end, the Segway comes out slightly on top, but the competition was a close one. 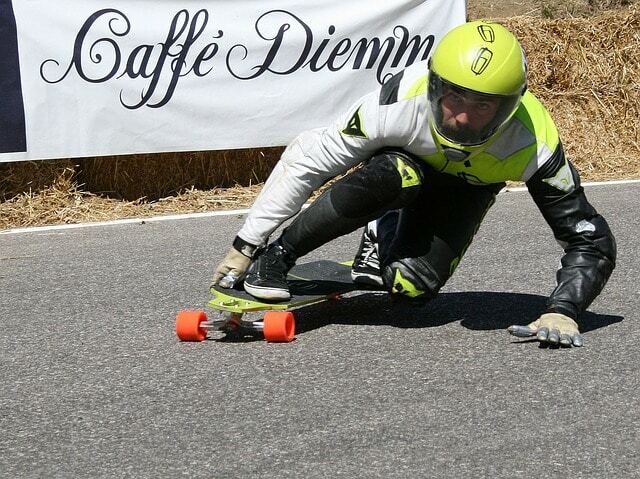 The Swagtron T1 is a product that’s great for just about any age of rider. Not only does it pack in some fairly impressive engine power, but it has gear stabilization for hilly areas. Full review here. It can support riders with a weight of up to 220 pounds. It can travel at speeds of up to eight miles per hour. It’s designed to provide traction on steep hills – both downhill and uphill. It only takes an hour to charge it to full, and it can travel up to 12 miles on that charge. The hoverboard has a “learning mode” that inhibits the speed until you’re ready. The T1 comes in four different colors: black, blue, pink, and red. The pedal area is designed to be slip-free. The 250-watt motor packs some oomph. This model of Swagtron has headlights to light your path at night. The miniPRO is a great personal mobility device for professionals and kids that want to zip around quickly – it’s capable of impressive speeds and has several key features that make it very convenient to use. It has a very powerful 1600-watt engine. The pneumatic tires incorporate shock absorption technology so going over small objects is easy. It can travel a full 14 miles on a single charge. The miniPRO is constructed of aircraft-grade magnesium alloy, so it’s very durable. It can travel at a variety of user-selected speeds all the way up to 10 miles per hour. It has several LED indicators to let you know things like battery level. It has customizable LED lights. It has headlights on the front of the vehicle. The knee-grip control system is completely customizable to the driver’s specifications. These two products have several similarities; each has bright headlights, customizable LED lights, and both have great stabilization features. Details review here. Once again, the Swagtron has a higher rider weight capacity, and the Segway has a larger range and runtime. 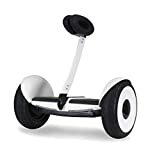 The Swagtron stands out because of its one-hour charge time, but the Segway has some truly useful features like an anti-theft mode that includes an alarm as well as the ability to sense other vehicles. In the end, once again, the Segway edges out the competition because it has more features that would jibe better for professional-level riders. It’s clear that Swagtron wanted to tap into the ATV and dirt bike enthusiasts market with this personal mobility device. It not only has some truly rugged tires, but it can even manage 30-degree inclines with ease. The motor is also fairly powerful, and it has a startling carrying capacity. It can easily manage heavier riders up to 420 pounds. It’s very fast – its top speed is 12 miles per hour. This is a vehicle that can travel over mud, gravel, or up inclines with ease. The 300-watt motor is easy to charge and is fairly powerful. This is a dirt- and mud-resistant Swagtron board, and it’s even splashproof. Like other models of Swagtron, it is Bluetooth connected and has speakers for music playback. The pedal portion of the vehicle grips easily. There are multiple riding modes. It’s fairly easy to take with you since it only weighs 30 pounds. Similarly to the Outlaw, the miniPLUS is designed with serious riders in mind. It has a larger weight capacity than is typical of Segways, and it has an even sturdier build quality. It packs in plenty of illumination and also has some very capable, shock-absorbing tires. This vehicle can travel up to 12.5 miles per hour, which is VERY speedy. It has two 800-watt motors to power it along and through most terrains. This is one of the few Segway models with built-in speakers. It has powerful LED headlights that shine very brightly. This Segway has a built-in storage compartment. There are several ambient lighting sections for high visibility. It has a mode that will allow it to follow you via Bluetooth and your smartphone. This model of Segway has a remote control joystick. When you’re comparing these two vehicles, the first thing you might notice is that they are designed for the long haul. Swagtron always seems to be ready for heavier riders, and while Segway has upped the capacity of this device to 220 pounds, so has Swagtron – the Outlaw can handle 420-pound riders! Both of these can handle a much wider variety of terrains than other products in their respective lines, but the Outlaw just has more off-road capability. On the other hand, the miniPLUS blows the Outlaw out of the water when it comes to range; this Segway unit can travel up to 22.5 miles if you opt not to travel at top speed. With all that said, it still seems that the Swagtron product wins out in this round. Both manufacturers produce some truly impressive personal mobility devices, which means that finding the one that best works for you may take some research. Hopefully, this guide has provided you with the information you need to make an informed decision. In any situation, these devices can make a commute much easier, so check out one of the models that we have highlighted today.